V4 experts had fruitful discussions on the challenges of non-performing loans and the strengthening of the resilience of the banking sector, on Fintech developments and the need to strengthen financial literacy of consumers. In addition, the experts had an outlook on current EU issues, like the completion of Banking union, the review of the European supervisory system and financial infrastructure, and the upcoming sustainable finance discussions. The participants had similar views and agreed in the benefits of continuation of the cooperation and exchange of national experiences. Experts of 22 MSs participated at the Budapest meeting in a framework that was originally established in 2011 as a“V4 Working Group”. Since then, the Working Group has been continuously involving MSs that are heavily impacted by the base oils’ frauds phenomena. In 2018 Sweden, Denmark, Portugal, Spain and France adhered to this network and common effort, thus joining the preparation of the operational activities. Besides the strong commitment of excise and of criminal experts of 22MSs, representatives of EUROPOL and of CEPOL also attended this meeting; moreover, the Hungarian Petroleum Association gave a lecture on the professional experience of the involved products. Based on the experiences and key learnings deriving from the operations, it was decided to restructure and renew the forthcoming operations’ concept for future efficiency and for sustaining the continuous development for inevitable break-through. Organised by the V4 Embassies in Paris and the Chamber of Commerce and Industry of the Hauts-de-France region, the event focussed on 3 key issues of renewable economy and sustainable development: smart city&smart buildings; water management and waste processing; rehabilitation of old industrial sites & their transformation into modern facilities. The Conference “Digital Education, Digital Competences – the Visegrad 4 countries in the 21st century” was organized by the Ministry for National Economy, Deputy State Secretariat for Vocational Education and Training and Adult Learning, in cooperation with the Vocational Training Center of Debrecen, in line with the “Digital Visegrad” pillar of the Hungarian V4 Presidency. The conference provided the participating stakeholders from industry, vocational education and higher education with opportunities for cooperation, and offered a platform to showcase the digitalization-related good practices in the Visegrad countries and in Hungary. At their coordination meeting the state ministers responsible for European Union affairs of the V4 exchanged views on the issues on the agenda of the GAC (Reform of the Electoral Act, Rule of Law in Poland, enlargement). At the meeting, the ministers adopted a joint statement called "Budapest Declaration" on further economic dialogue, industrial policy cooperation and the common position on European integration. 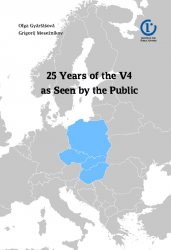 The V4 countries thus launched a cooperation in industrial policy with the goal of intensifying exchange of experience and launching joint projects in Industry 4.0 initiatives, and identifying areas related to the digitization of industry where the V4 countries can strengthen their position in the European Union and contribute to the EU industrial policy. Attending the V4 ministerial meeting, the presidents of the Central Statistical Offices of the V4 countries signed a Cooperation Agreement, and announced the publication of their joint statistical booklet Main Indicators of the Visegrad Group Countries. Magyar Posta (Hungarian Post) – within the framework of the Hungarian Presidency of the Visegrad Group – organised a conference on the current issues of the logistics market and e-commerce in Várkert Bazár (Castle Garden Bazaar). The event was attended by the heads of the postal administration of the V4 countries and Austria, as well as the representatives of the online stores of the region. The heads of the postal administration agreed that continuous developments are necessary at postal services in order to remain competitive and to keep and even improve their position in the market. Further growth of online commerce is expected this year as well, thus the heads of postal administration of the region considered it important to harmonise their activities and services, and to ensure that postal services and actors of the e-commerce sector consult in time – before the peak periods – about the required capacities. The development of parcel logistics services is an opportunity for postal services to balance the decrease in the flow of letter mail items. Within the framework of the regular political dialogue between the Visegrad Group and Turkey, the V4 political directors visited Ankara on 8 May 2018. Set off by the foreign ministers during the previous Hungarian V4 Presidency (2013), the political discussions aim at enhancing cooperation with a view to strengthening regional stability and prosperity. At their fourth meeting, the V4 political directors held consultations with deputy undersecretary for European issues Mehmet Kemal Bozay and other leading officials of the Turkish Foreign Ministry. The V4 highly value Ankara’s efforts to implement the EU-Turkey statement on migration and pledged their continuous support in this regard. Security and political situation in the European neighbourhood, the Euro-Atlantic integration of the Western Balkans and the conflicts in Ukraine and Syria in particular were also thoroughly discussed. The political directors of the Visegrad Group met their Jordanian counterpart in Amman on 9 May 2018. The primary goal of their visit was to discuss the V4-Jordan relations and the most current issues on regional level. The countries of the V4 highly appreciate Jordan’s resilience and the country’s immense humanitarian efforts to tackle the tough challenges posed by the massive influx of refugees from Syria. The V4 countries continuously support Jordan in its tremendous work by implementing humanitarian and development projects in bilateral and in EU framework as well. Jordan is certainly one of the countries in the EU neighbourhood that is truly capable to tackle the challenges of terrorism. The V4 appreciate its role in counter-terrorism and fight against religious extremism as well as in the promotion of interreligious peace. The expert meeting at the Ministry of Agriculture in Budapest was dedicated to National Air Pollution Control Programs (NAPCPs) and ecosystem monitoring networks. On the occasion of the Hungarian V4 Presidency and as a follow-up of Hungary’s HEInnnovate activities, the Ministry of Human Capacities and Tempus Public Foundation in collaboration with AmCham Hungary organized the international networking conference “V4 FOR 3RD MISSION”, bringing together stakeholders from innovation networks to discuss and present best practices and new forms of cooperation between higher education institutions, local governments, businesses and professional organizations. Foreign ministers of V4 and Balkan countries met in Sounion on 11 May to discuss the future of Europe, the enlargement of the European Union, migration and energy security issues. At the workshop the relevant representatives of V4 defence staffs met to coordinate the upcoming training events in the V4 Mid-Term Exercise and Training Plan (MTEP) and to agree the framework of a V4 Training Catalogue. The heads of the military national security services met to review the common challenges and priorities within NATO and EU, and discuss opportunities for cooperation. The Hungarian Rectors’ Conference (HRC) organized the V4 Rectors’ Conferences’ Forum back-to-back with the HRC30 Jubilee Symposium celebrating the 30th Anniversary of its establishment. Rectors from all V4 countries acknowledged the remarkable differences in the research performance of higher educational institutions’ (HEI) of their countries, compared to other European countries. Yet, HEIs’ experience in various RDI programs shows the broad distribution of excellence. Thus, the experts discussed the ‘Distributed excellence concept’ aiming at enhancing the identification and dissemination of the key success factors of excellent HEIs, and stated that it can be an underlying concept for the development of EU’s European University Networks initiative. The Hungarian Presidency organized a V4 prime ministers’ meeting prior to the Western Balkan Summit on May 17th covering the topics of MFF and migration. During the Hungarian V4 Presidency, MFB Hungarian Development Bank organised two meetings with the participation of the V4 development banks, the first being a V4+Croatia+Slovenia workshop in Budapest in October 2017. At the second meeting, a high-level V4 business lunch in Prague on 17 May 2018, the discussion focussed on cooperation opportunities of the V4 development institutions and the idea of a common V4 promotional bank, the investment platforms under the European Fund for Strategic Investments (EFSI) and the next MFF of the EU. Participants agreed that the lack of regulation regarding cryptocurrencies pose a real threat and that effective actions should be taken in a form of a well-prepared regulatory framework and IT support. With a special regard to the regulation of the cross-border dissemination (XBD) of the new EU regulation, the participating FIUs do not follow the same practice, therefore no unified position was developed. The V4 planning directors met with their counterparts from Estonia, Latvia and Lithuania. The partners discussed the topics of the June European Council, EU Eastern Partnership, the relations with Russia, the situation of the EaP countries as well as the situation in the Western Balkans. In the framework of the V4 Self-Driving Vehicle Forum partners were discussing the activities of each country’s best practices. The aim of the Forum was also to identify potential cooperation opportunities, in the joint use of the Zalaegerszeg test track or in standardizing the related regulatory environment. This body worked on preparing the next meeting of National Armaments Directors (NAD) under the Slovak Presidency. At the meeting hosted by the State Secretariat for European Union Policy and Coordination, the parties discussed key EU agenda items. Regarding the Multiannual Financial Framework, delegations emphasized that the EU budget should continue to focus on the convergence of less developed regions and MSs and on enhancing competitiveness. From this viewpoint the proposed cuts in the common agricultural policy and cohesion policy are unacceptable. The V4 reiterated their position on refusing the concept of mandatory relocation and confirmed that common efforts should focus on external border protection and the external dimension of migration. The V4 countries also agreed on the importance of EU enlargement and called on the EU to show a more firm commitment towards the Western Balkan countries. Following an earlier decision of the V4 Directors General of Tax and Custom Administrations to deepen V4 cooperation, the first meeting of the Heads of Investigation Authorities was held. The participants exchanged experiences and views on issues of common interest such as tobacco products, base oils, VAT frauds and issues of the international human intelligence and the evaluation analytical work applied during investigations. Parties agreed to nominate contact points and organize working visits in order to develop an expert network, to ensure a more efficient cooperation. In the framework of the fifth Pécs African Studies Conference, the Ministry of Foreign Affairs and Trade, together with the University of Pécs, organized a V4 Symposium on Africa policies with the participation of the Africa Directors of the Visegrad MFAs. The V4+Eastern Partnership Youth Experts Conference took place at the Hungarian National Museum. Participants discussed the demographic crisis of Europe, possible forms of balancing between career and family, the opportunities for involving youth organizations in public affairs, and the challenges of digitization from a youth perspective. With more than 100 participants, the event focused on fostering joint reflection and the exchange of best practices. Governing systems, occupational safety and health situation, the role and activities of inspection were introduced by the respective V4 delegations. Proportion of micro-, small and medium sized enterprises in national economies, new and emerging risks at work, and the changing role of occupational safety and health inspectorates were discussed. According to a Hungarian proposal cooperation should be continued with sharing country level documents (e.g. training materials, guides) and experiences of the planned developments. Opening the first-ever expert meeting in that format, the Hungarian side underlined that the V4 and the PA are their respective regions’ most dynamic cooperation formats, which represents a potential for their future cooperation. Three areas for further possible cooperation were identified: strengthening international relations of SMEs, training and education, and science, technology and innovation. The experts agreed that the success of the dialogue could lay the ground for a future higher-level political meeting between the two groups. Heads of Foreign policy planning departments and other experts of Visegrad countries’ Ministries of Foreign Affairs met Jakub Grygiel, senior advisor of the State Department for consultation and working lunch in order to discuss topics such as U.S. – Central Europe relations, global issues, national policies on Russia and the question of the cohesion of the alliance within EU and NATO. The Hungarian Presidency of the Visegrad Group and the Brussels based RDI office organised a conference with the title “The »recipe« of innovative ecosystems”. The V4 countries had a coordination meeting led by the Hungarian V4 Presidency in order to discuss the main topics of the Council agenda – I. and the II. Mobility Packages, Regulation on safeguarding competition in air transport, Directive on port reception facilities and Regulation on rail passengers’ rights. The participants highlighted that a well-balanced solution should be found on the I. Mobility Package, where the principle of freedom to provide services is respected without creating distortion of the internal market. The efforts of the Hungarian V4 Presidency on the I. Mobility Package were highly appreciated and it was agreed that the coordination of the V4 position should be continued in order to protect the interest of our road hauliers. The topics of the lunch debate – CEF 2.0 proposal and connectivity between the EU and the Western Balkans region – were also briefly overviewed. CZ proposed that a coordinated V4 position should also be developed on the CEF 2.0 proposal. During the meeting SK, as the incoming V4 presidency presented its program which focuses particularly on the I. Mobility Package and the CEF 2.0 proposal. At the meeting, the main points of the Council Agenda were briefly overviewed, which focused on the adoption of the general approach on the ACER Regulation, as well as the state of play of some of the legislative files of the Clean Energy Package, namely the Governance Regulation, the Renewable Energy Directive and the Energy Efficiency Directive. Hungary also gave a short overview of last year’s main results from the point of view of V4 cooperation. The V4 delegations negotiated their positions about the points of the agenda, and regarding the Renewable Energy Directive, the Energy Efficiency Directive and the Governance Regulation common red lines were adopted which were presented as common V4 messages by Hungary during the Council meeting. The focus of the meeting was on the preventive activity with official means, while the participants had the chance to share their best practices in this field. At the meeting, the Visegrad Countries adopted a statement on disaster management in which they expressed their commitment to further cooperation, while recognizing the role of integrated work in disaster prevention. The V4 countries together within the framework of the EUTF Africa launched a major project to help thousands of Kenyan farmers. This first-ever joint international development project of the V4 will also facilitate job-creation across three coastal counties of Lamu, Kilifi and Kwale, in line with the ‘Global Visegrad’ priority of the Hungarian V4 Presidency. Agricultural ministers of the V4 met to discuss major global agricultural challenges and their regional consequences. The already existing V4 + Bulgaria, Croatia, Romania, Slovenia cooperation was extended to Estonia, Lithuania and Latvia this time, whose delegations also participated. The substantive agenda was focused on the future legislative aspects of the Common Agricultural Policy (CAP), market mechanisms (sugar, pig, etc.) and future achievements within the BIOEAST initiative. Regarding BIOEAST, a declaration was signed on the VISION of the Central Eastern European Initiative for Knowledge-based Agriculture, Aquaculture and Forestry in the Bio-economy by all participating delegations. MENA Directors of the V4 Foreign Ministries + the EEAS held consultations at the Ministry of Foreign Affairs and Trade of Hungary. Participants, including Deputy Managing Director for the Middle East and North Africa of the EEAS (Mr. Scicluna) discussed the situation in the Middle East, with particular focus on the MEPP, Iraq and the Syrian conflict. The consultations opened up the possibility to convey the common messages of the V4 countries to the EU. The V4 Logistics Forum, as an accompanying event of the FIA Truck Europe Championship and Festival, was organized by the Ministry of Foreign Affairs and Trade together with the Truck Race Promotion Ltd. The goal of the event was to create a platform for logistics experts from the Visegrad Group countries to discuss technological advancements, latest trends, challenges and the future of logistics. The conference was attended by representatives of the logistics industry, heavy vehicle and HGV component manufacturers, executives of oil companies and financial service businesses as well as professionals and government officials from the V4 countries. As the next milestone in the process of enhancing the V4+Israel cooperation in RDI in the framework of the Working Group created after the V4+Israel summit in 2017 July, representatives of the five countries and the Visegrad Fund signed the MoU laying the basis for the Working Group’s first joint project, the ‘V4 Innovators in Israel training program’. Thus program will offer a short-term, intensive training program for the V4 countries’ selected entrepreneurs to familiarize themselves with the best practices of the leading innovation ecosystem in Israel. The foreign ministers of the Visegrad Group and the NB8 cooperation held their yearly meeting for the sixth time in Stockholm, elaborating current burning issues of mutual interest, such as Eastern Partnership and Eastern Policy of the European Union, situation of Transatlantic relations, global security issues, the future of the European Union. The partners agreed to meet again in Spring 2019, in Lithuania. The State Secretariat for European Union Policy and Coordination organised a director level meeting on the Multiannual Financial Framework in Budapest on 19 June. Delegations agreed that the Commission’s proposal disproportionately affects the V4 and Baltic countries. The significantly high - more than 20% - cuts in cohesion policy allocations would hamper the convergence process. Moreover, the proposed reduction of common agricultural policy resources would fail to provide adequate support to farmers and by that undermine the stability and competitiveness of the European agriculture. Regarding new challenges, common financing should be focused on issues in which there is a common understanding like stemming migration and supporting national border protection efforts. V4 countries also agreed that the quality of the agreement prevails over timing. As the proposals in their current form do not take into account the views of the Visegrad Member States, major changes must be implemented to reach a consensus on the EU budget. In the framework of the meeting the five heads of government underlined the importance of cooperation among the V4 and Austria and agreed that Europe must be able to defend its borders and must provide security for its citizens. Discussion focused on future of EU and MFF, migration, and the possibilities of the EU accession of the Western Balkans. Environmental Ministers of the Visegrad Group dedicated its discussions to the common challenges hindering implementation of EU Environmental Noise Directive, the 25th anniversary of the Convention on Biological Diversity and the Western Balkan Green Fund dealing with climate change issues. The already existing V4 and Bulgaria+Romania format was extended to the delegations of Slovenia this time. The closing event of parliamentary cooperation during the Hungarian Presidency of the Visegrad Group was the Informal Meeting of the Presidents and Speakers of Parliaments of the Visegrad countries and Austria and the football tournament of the V4 parliamentary teams. The agenda of the meeting – following the agenda of the European Council at the end of June – featured the issue of the EU’s multi-annual financial framework for 2021–2027, the question of migration and the possibilities of EU enlargement. The conclusions of the meeting state that there are more small, low-productivity companies in the V4 region than in the western part of the EU, therefore the PES needs more resources to communicate and keep engaging them; these companies often have no resources to absorb ALMPs such as new forms of apprenticeship or internship; finally the role of the chambers remains different from the dual model (Austria, Germany). The aim of the workshop was to map out these differences of the V4 countries and also to draft possible recommendations for the EU PES benchlearning process on how these differences can be tackled in the next cycles of the BL process, or how to take them into consideration once the yearly PES capacity survey are processed. In the framework of the V4 Presidency, the Atlantic Council Global Energy Center and the Hungarian Presidency organised a successful event titled “Towards 21st Century Energy Systems in Central & Eastern Europe”, featuring discussion and debate on the strategic and policy implications of the Trump Administration’s energy agenda and its impact on the transatlantic relationship, with special focus on the CEE/V4 region. Representatives from the US and V4 countries from the government as well as think tanks, and Vice President of the European Commission for Energy Union Maroš Šefčovič attended the event that was opened by Ambassador Richard Morningstar (Ret. ), Founding Chairman, Global Energy Center, Atlantic Council and H.E. Ambassador László Szabó, MD, Ambassador of Hungary. At the final meeting of the Ministers of Interior under the Hungarian Presidency of the Visegrad Group, and in the presence of the incoming Austrian Presidency of the Council of the European Union, the most relevant issues of migration and border management were discussed. A Joint Declaration was adopted by the Ministers, in which they pressed their intention to continue their close cooperation and expressed their commitment to establish a well-functioning border management system in order to stem migration flows. The Ministers emphasized that strengthening of cooperation with third countries along different migration routes is key for finding a comprehensive and sustainable solution of the current challenges. They agreed on supporting the targeted border-policing activities of the Western Balkan countries to ensure the effective border control along the Western Balkan migration route. Prior to the meeting of the General Affairs Council on 26 June 2018, the Hungarian V4 Presidency organized a meeting of the V4 state ministers where issues of migration, the rule of law situation in Poland and the next multi-annual financial framework (MFF) were discussed. The Chiefs of Defence reviewed the state of play of the major V4 defence cooperation projects, such as the EU Battlegroup, the common NATO capability target and joint exercises. They were joined for a working session by their Ukrainian counterpart for an exchange about regional security and opportunities for military-to-military cooperation in a V4+Ukraine format. The meeting also served as a ceremonial occasion for Slovakia to officially take over the rotating Presidency in the field of defence. On 28 June 2018, prior to the meeting of the European Council, the V4 prime ministers held an informal discussion with French president Emmanuel Macron. The five leaders exchanged views on the proposed EUCO Conclusions, which included taxation policy, trade policy toward third countries, Brexit, the next MFF, extending the sanctions against Russia and migration. The 28th Meeting of Ministers of Culture was organized on June 29, 2018 in Vác. High-level participants from the Visegrad countries met for a working lunch and then a ministerial meeting where delegation leaders shared their achievements in the field of the culture in the past year, while describing their plans. The highlight of the event was the signature of the Budapest Communique and the press conference. The document summarizes the events from the previous year's meeting and sets of new targets of cooperation for the next period.